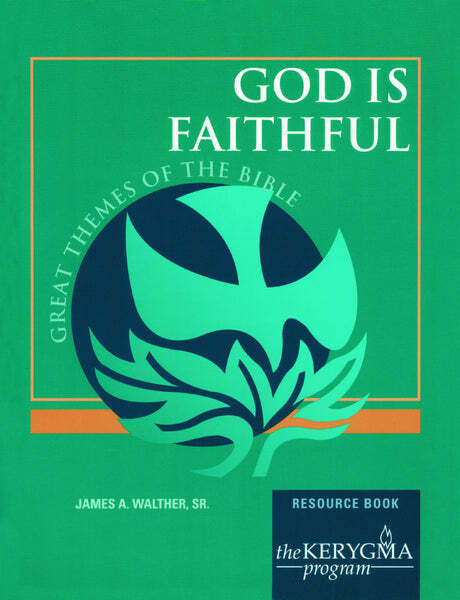 Resource Book written by James A. Walther, Sr. A Resource Book is recommended for each participant. View the God Is Faithful Leader Kit here for the items necessary to facilitate the course. Click here to download a full color flyer. Customize to promote your study. Use as bulletin insert, newsletter ad, or as a poster. At the heart of the Bible's story is a relationship between God and people, sparked by God's initiative, sustained by God's promise, and sealed in covenant terms. Come, track the narrative as God holds steady while the people struggle to keep faith and fulfill their mission in God's world. The covenant relationship is explored from Abraham through Moses, David, and the Prophets, up to Jesus—calling us to renew our place among God's loyal people. Find more Thematic study or additional www.kerygma.com products.